At Meadow View Assisted Living and Memory Care, our Life Enrichment program is designed to address all aspects of life to include socialization, physical well-being and spiritual wellness. It is our goal to ensure there are daily opportunities for our residents to express their creativity, develop friendships, challenge their minds, and provide opportunities for laughter and relaxation. Each Meadow View Assisted Living and Memory Care neighborhood is stocked with Life Enrichment Kits that will assist staff and visitors in spending quality time with residents-anywhere, and at any time. 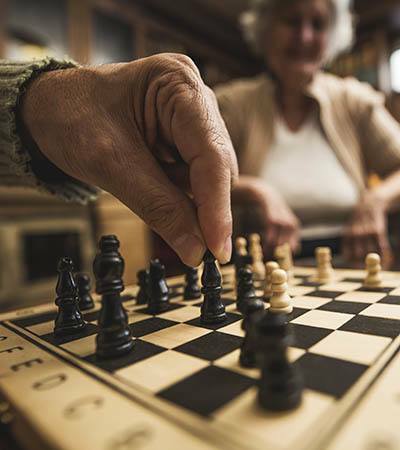 Our unique approach to Life Enrichment not only incorporates the efforts of our trained staff but also encourages the involvement of the residents' guests. Find out more about the activities and services offered at Meadow View Assisted Living and Memory Care. Our staff is here to help. Meadow View Assisted Living and Memory Care is more than just a place to stay; It's a place to take part, a place to belong. Our Activities Director is committed to enhancing life experiences on a daily basis by offering out of the box opportunities for residents to enjoy this season of life. To learn more about our senior living activities program here Meadow View Assisted Living and Memory Care, get in contact today.